Gladiator sandals may be easy to find this season, but not every pair is comfortable. These Enzo Angiolini gladiators have a low wedge, which makes them more comfortable than many thin, flat pairs I've seen. Also, the quality leather will form to your foot and last for seasons to come. Even better, they are on sale for $49.99 from $89 at Lord & Taylor. 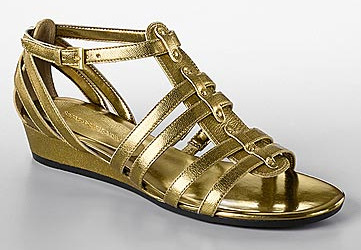 The wedges come in gold (pictured), silver and bronze snake embossed leather. 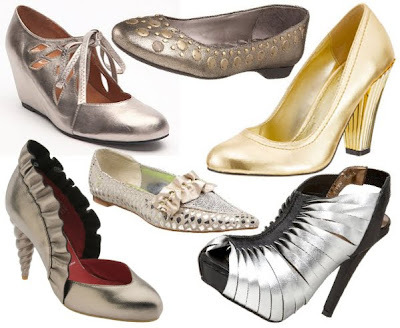 These metallics will add sparkle to all your summer outfits. I think those, in the same style, are a good purchase too. Love how these sparkle! 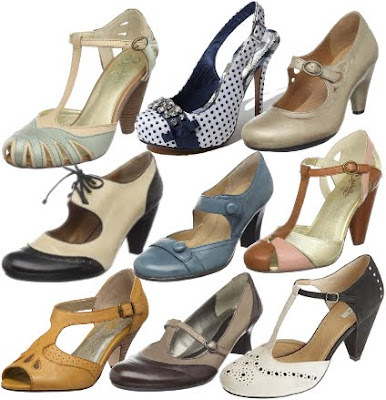 They are gorgeous and would work great with a casual summer wedding dress.